1) Can I just say how thrilled I am to be settling into a blogging routine?! 2) I am over-the-moon to be documenting two incredibly momentous occasions for some very special people this weekend! 3) and... I am ecstatic to finally share some highlights from this sweet engagement session with you all! 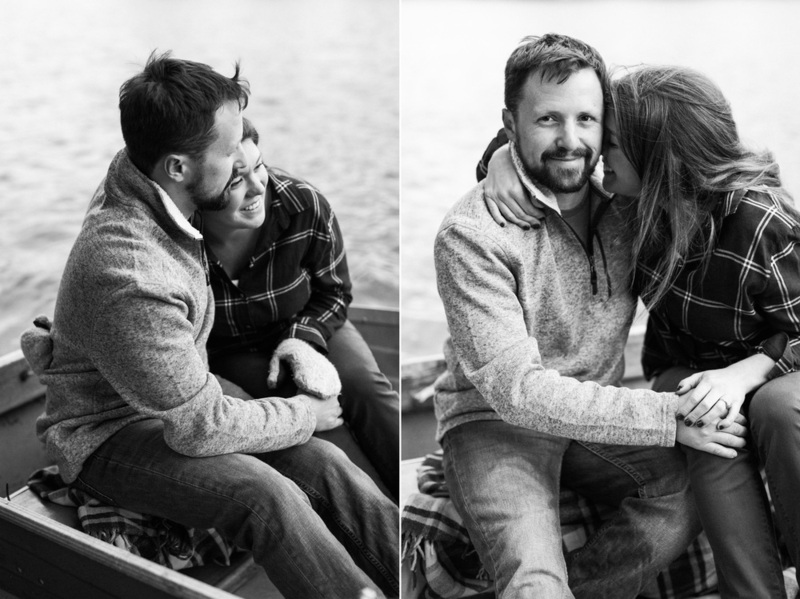 Right before Christmas, I met up with Heather and her fiancé Mike on his family's gorgeous lakeside property for a beautiful, wintry afternoon filled with snuggles, blankets, coffee, and a campfire. While I was really (REALLY) bummed out about not being available to shoot their wedding this upcoming summer, I was so grateful for the opportunity to spend some quality time with them just before the holidays and capture these moments for them. Would you look at this face?! Meet Heather and Mike's sweet rescue, Blue. Dapper AND photogenic!